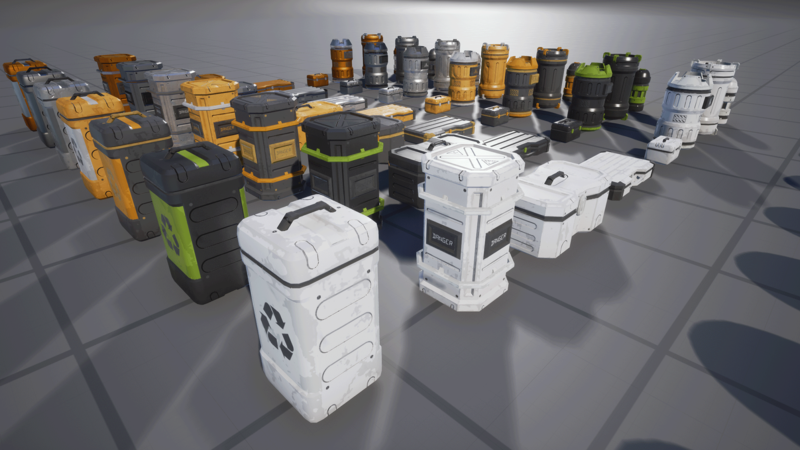 This set of game-ready containers is perfect for desktop, console, or mobile. 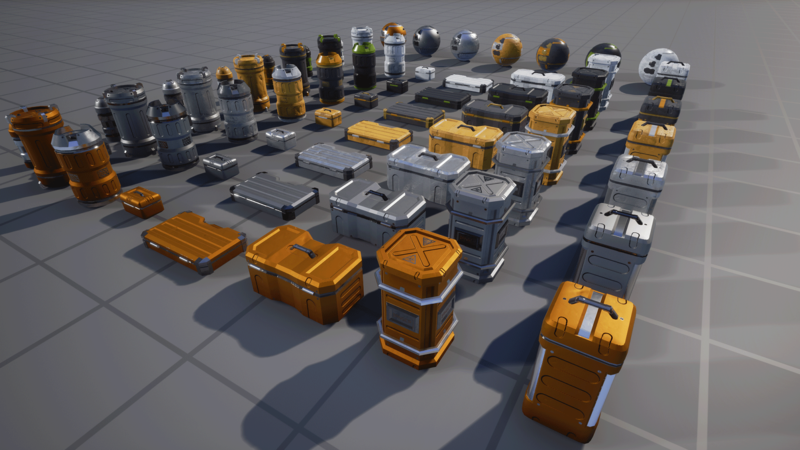 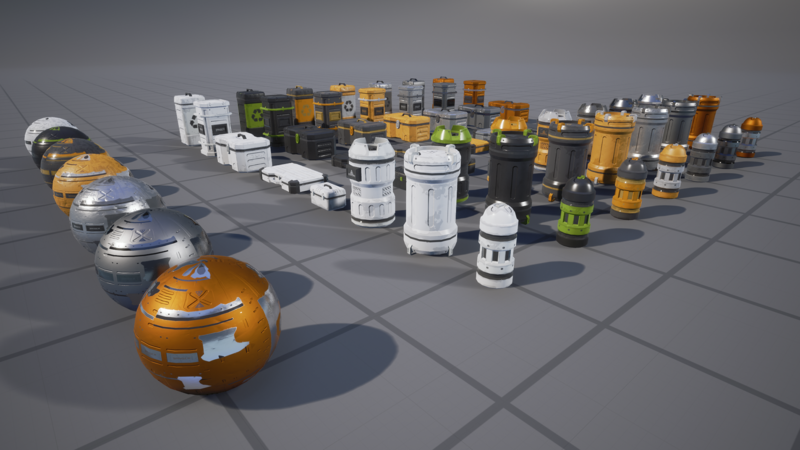 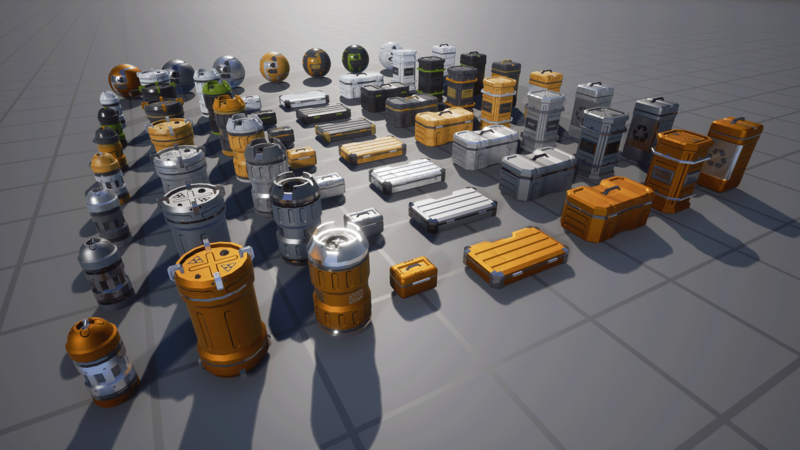 This set includes 8 separate containers; each with custom collision, multiple LODs, and heavily customizable materials built off a single master material. 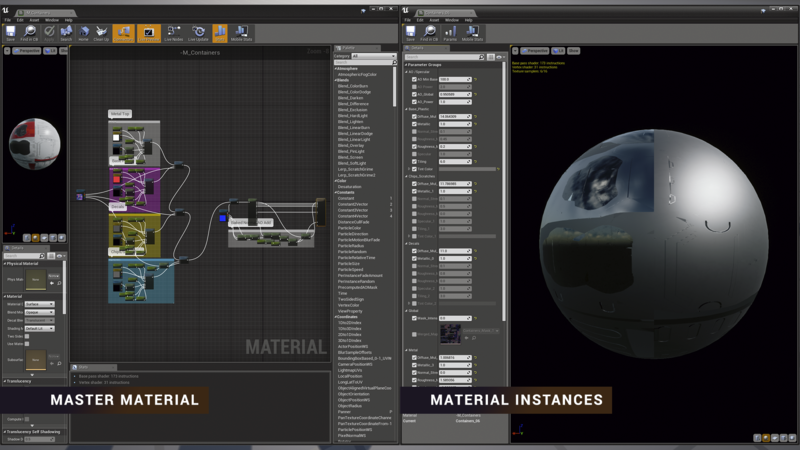 You can easily alter the entire look through layered masks or utilize material instances to create your own variations. 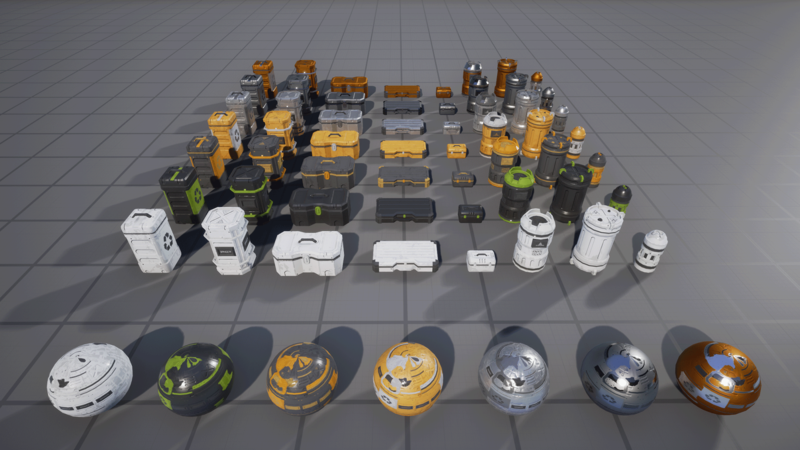 7 individual example materials are included with this set.